The English is patchy but the message is clear. I’d like to have seen some flies swarming around the poop, but apart from that the artwork is impressive. 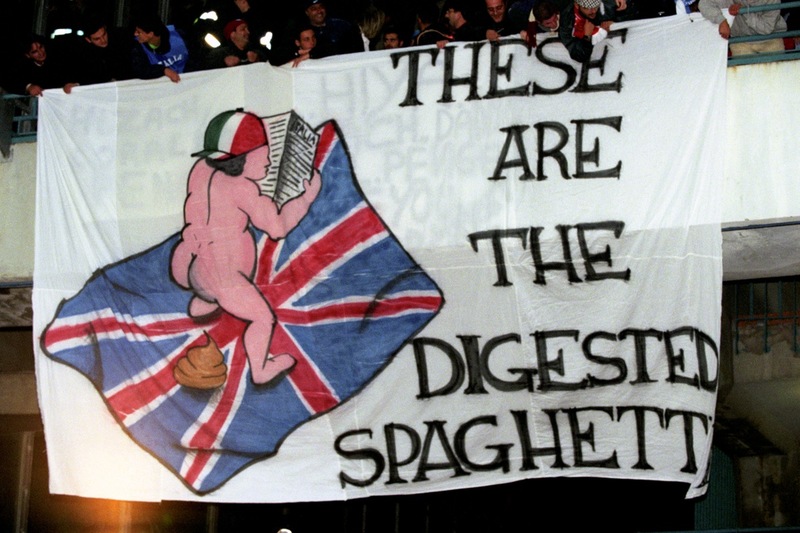 As spotted at Anfield during Italy’s group match against the Czech Republic at Euro ’96. Italy lost 2-1 and of course failed to get out of their group – poopy karma.